Those of you who follow this blog know that I don't tip my hand early (which is probably the point of an entire 'nother post, but we'll let that pass for the moment). 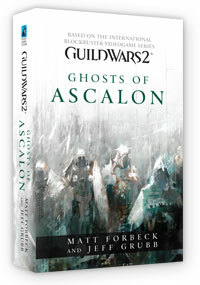 But yesterday ArenaNet officially announced the upcoming release of Ghosts of Ascalon by Matt Forbeck and myself. The book is being released this summer, in advance of the game itself, as it covers a lot of the stories of what happened between the time of the original Guild Wars and the new game, in particular as far as the relationship between the humans and charr. At one point I referred to this as "The Canterbury Tales with more explosions", and the description is still apt. It's been a pleasure to work on this project with co-author and fellow Alliterate Matt Forbeck, who had the monumental task of weaving an exciting story through a rich, deeply developed world while the game design was still ongoing, a task I can only compare to building a locomotive with the train is already in motion. The final result should be a treat for both long-time fans and people who want to know what all the fuss is about with Guild Wars. And while on the subject of Guild Wars, I'd like to point out that ArenaNet's own Linsey Murdock and Katy Hargrove are interviewed by Massively.com as two of the Most Influential Women in MMO Development. That sort of thing is really, really cool, and you should check that out as well (at least, while waiting for the novel to hit the shelves). I've spent the past few days wrestling with a nasty headcold, which has manifested with an ever-rotating cascade of symptoms like a demonically-possessed Simon game (Today - sore throat! Tomorrow - uncontrollable coughing!). Now he rises from the haze. So its not a good idea for me to be around others, and I've been working at home for the past couple days. Now, the fact that this coincides with the Olympics, which are being broadcast by the network nation of NBC, is completely beside the point. So the fact I can curl up and let the TV run while I slurp down hot tea and review manuscripts is totally a small bonus. As you've probably heard, it has been a snakebit Olympics. Warm weather. Tough venues. A fatality in the luge. Protesters. Breakdowns in equipment and transportation. The torch trapped behind a chain link fence like it was in Free Speech Zone. Still, it is the Winter Olympics, and I've always liked the Winter Games more than the Summer. Skiing, speedskating, hey, I'll even watch figure skating. And adding the polar cold-weather opposites of curling and snowboarding just adds icing to the cake. And I've been happy with the coverage. One of the grumbles in Seattle right now is that we get the games in the evening NBC feed instead of live. Vancouver is two hours away (plus an hour at the border) - why are we getting everything on tape delay. Me? I'm glad I don't have to watch the announcers fill time for two hours while the IOC Judges are on the women's alpine course praying for snow, or waiting for the fog to lift so you can see the top of the course from the bottom. As much as I bash on large corporatism, the network nation of NBC has done a good job so far - highlights in the evening in prime, and live/semi-live events during the day on CNBC, MSNBC, and USA. And while they cut some of the action (like the opening rocks for curling each end), they have been showing full games (which is just as well, since the US team is 0-3 in the round robin and not looking at all well - will there still be coverage when the US is no longer a contender?). In addition, NBC has eschewed the mawkish sentimentality and jingoism that often haunts Olympic coverage. So for the moment I've got my laptop, manuscript, blanket, and tea, and I'm happy the Olympics are on - because otherwise the only thing on TV would be reruns of "Phineas and Ferb". One more dip into nostalgia, but I promise to return to the present and show a cool future before we get out of this. I started playing D&D in 1975 at college, and brought the game back with me at Thanksgiving break to my friends in Pittsburgh. By 1976 we had a number of campaigns set up, including a weekly one at Carnegie Mellon University (CMU) - Wean Hall, in one of corner conference rooms overlooking Panther Hollow. We used that meeting room so often that one of my housemates and I...um... borrowed one of the folding tables from that room. And by the time we got around to returning it, well, that room was no longer a meeting room and CMU didn't use that type of table anymore. In any event when I got an invite to see the Microsoft Surface D&D table, I had to accept. The demo was created by the SurfaceScapes team, a group of students from CMU using Microsoft Surface technology to play the game. Thirty-five years ago, the big projects from the CMU CS departments were things like the driverless van and the hopping robot, so this is a pretty cool thing. The Surface device itself is about the size of a small coffee table, with a projector beneath and four IR cameras on the corners. The projector displays the map (any size - it scrolls). Items on the board (like your miniatures) have IR tags beneath them, so the program can track their movements. 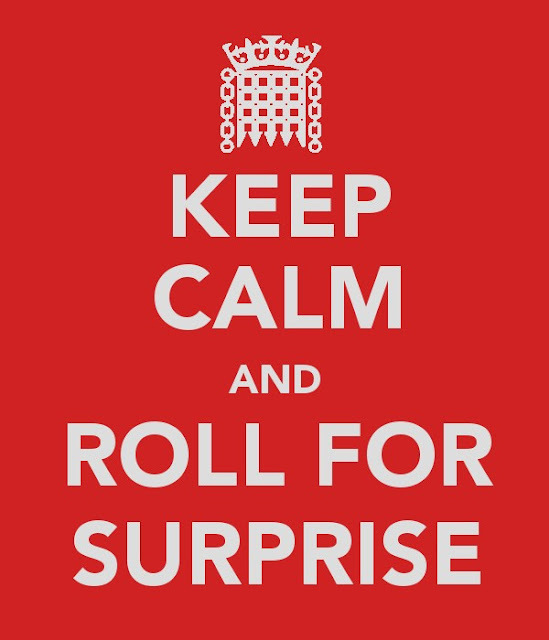 You can hook the table up to the DM's computer, where a program can control the monsters, maps, and other sundry. Where the challenge lies in this sort of thing is the surface itself, the interface between the programs and the users. What the CMU team has done (incredibly well) is identify how much and what types of information the players want on the table. Your miniatures are on the table, the monsters can be either part of the display, or can be miniatures as well (at the close of the demo, the DM dropped a dragon on the table to fight. As he put the dragon down, dust kicked up from the table and there was a deep audio thump of it landing - very nice use of interface). Now I remain deeply aware of D&D and its minutia, but I am very trailing edge as far as tech is concerned (my phone, for example, is only used to make phone calls - it's so retro). But I quickly got the hang of how to use the screen, and was incredibly impressed by the amount of raw D&D material they made available. That's another challenge of D&D - you may not need to know you AC all the time, but when you need to know, you need to access it instantly. How they made the information available was pretty darn elegant. According to the CMU team, the Surface was originally created with an eye towards board games, but that did not pan out, and the CMU team was looking at more real world applications, when they showed it to the Penny Arcade guys (yeah, the comic strip guys). Penny Arcade walked through the original demo, and said, "you could play D&D on this thing". And so the wheel turned back. 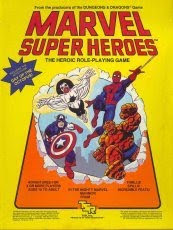 Plus the fact that 4E is the most computer-friendly version of the game yet, while there is programming for every new spell and ability, it is easier than in the eldest of days. Here's the thing - this is a student project. It is unfunded (and they could use a few of the newer D&D books (hint hint)). The device itself is more commercial than home use (Surfaces are in use for information kiosks and the like). A D&D table would likely work better in game stores than in the home. It is a demo, so there are pieces that are still work in process (Version 2.0 is going to be ready for GDC and PaxEast, in case anyone is interested in seeing it live). The big question I thought of was: In the home, what piece of furniture would this replace? The device we played on was about the size of a coffee table, so I could see it in the middle of the living room, surrounded by low chairs. A larger version would replace, say, a pool table (oh, you don't have a pool table? Me neither, but that's part of the problem), and would be priced accordingly. The "Ultimate Gaming Table" has been a Holy Grail for DM's since the publication of the first D&D box. This project has done an incredible job bringing that day forward.And it is a great improvement over a folding table liberated from Wean Hall. Oh, and that original gaming table we ...um .. borrowed from CMU? It's still in my basement. You guys can come and get it anytime. Update:Monkey King was with me, and has a great writeup of the device and the app as well. So, thanks to new father Steven Schend, an ancient evil has been unearthed. I am referring, of course, to the sanity-sharding horror that is "Jeff Grubb Day". The short version of the tale is that someone tried to imitate me, saying that Jeff Grubb was a house name at TSR, and an editor (Hi, Anne!) thought it would be funny if everyone was Jeff Grubb, and as such passed out "Hi, My Name Is Jeff Grubb" name tags to the entire staff. On what turned out to be Steven Schend's first day of work. My name tag read "Hi, My Name Is Roger Moore". But I never really explained the significance of that comment. Here goes: Before the insanity of Jeff Grubb day, we had another case of identity-grabbing, involved long-standing and talented DRAGON editor Roger Moore. Um, make the Roger E. Moore to separate him from the Bond actor (though our Roger was much better looking). Roger was invited to a convention on the West Coast as a guest. As such things happen, he was unable to attend, and sent his regrets. Life went on, and then we got a letter. The letter was from a fan who claimed he had attended the convention, and was very concerned that Roger Moore could not attend. So concerned that he stepped into the breech, and for that weekend was an imitation Roger Moore on our behalf. Sat on panels, signed autographs, and provided information about upcoming TSR product. Furthermore, he wrote, he would be more than happy to continue to do so as our "West Coast Roger Moore", freeing the real Roger Moore to his editing duties. Needless to say, the real Roger Moore (and the management of TSR) were not tempted by this offer. In fact, they were rather taken aback by Roger Moore imitators. The fan did not sign his name, but did provide his RPGA number, and we quickly tracked him down and sent him a note that impersonating TSR employees was really, really ,not apprecitated. And that was why my name tag that fateful day, twenty years ago, read "Hi! My Name Is Roger Moore". While others will go for the fad of the week, I will stick with the classics. And Roger? I think his name tag read "I am the Real Roger Moore. All others are spuds! ".